Improve user experience with our state-of-the-art, real-time reliable, easy to use, live, AI-based video quality assessment (VQA) tool. 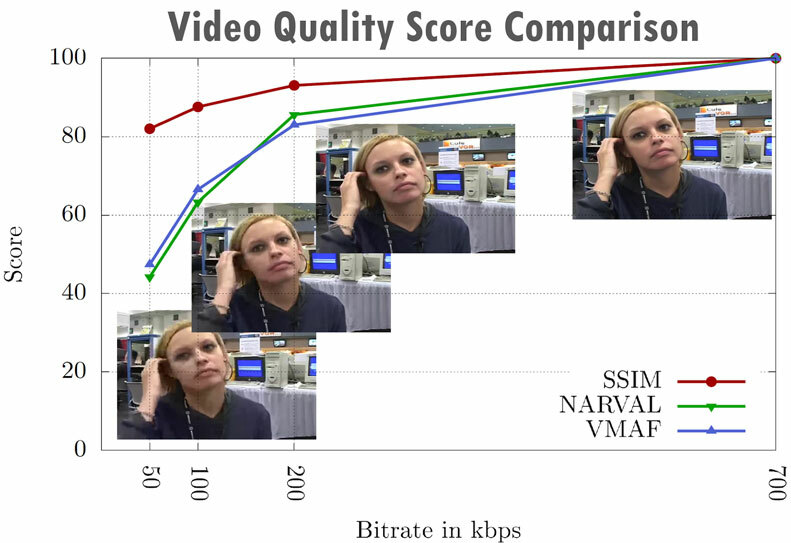 Video Quality Assessment is used widely as a metric to quantify quality of user experience (UX). However, popular VQA metrics such as VMAF and SSIM, work in post-mortem and in controlled environments only. What if the reliability of such metrics could be now accessed live ? Stop reacting, and be proactive instead! NARVAL is designed to produce VQA results similar to SSIM and VMAF but in real-time. Set up your VQA with NARVAL and get reliable media quality metrics live to proactively control your UX in real-time! 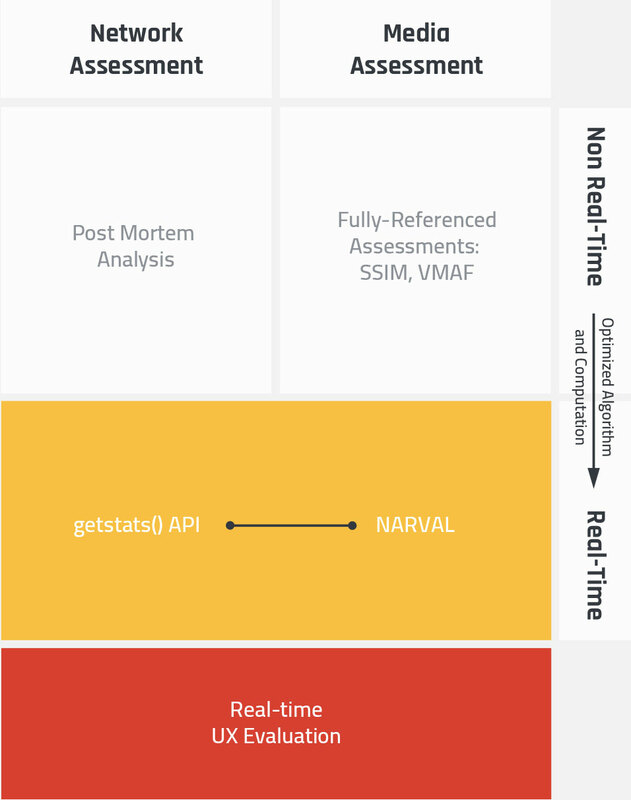 Integrate NARVAL metric with real-time network assessment monitoring, and your UX evaluation system is now real-time. Adapting your system performance live becomes possible, ultimately improving your user experience! NARVAL features a no-reference assessment. 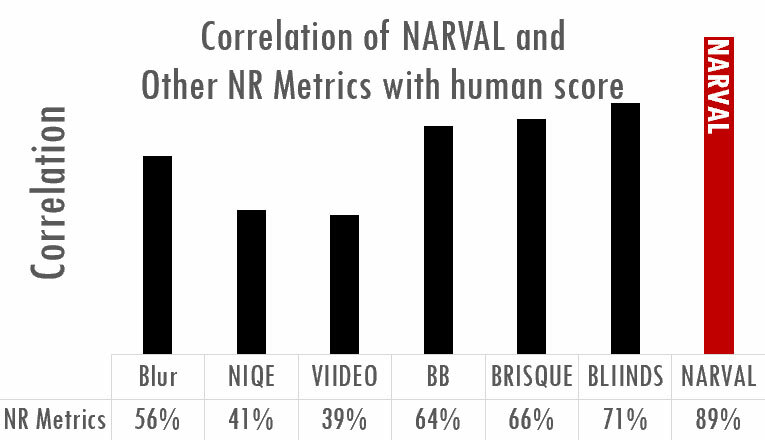 NARVAL is the current leading no-reference VQA when it comes to predicting quality scores given by human users. NARVAL is not only just as good as leading full-referenced metrics VMAF and SSIM... but also in real-time! Take advantage of NARVAL for real-time VQA and integrate the results with KITE to monitor user experience. Also instrument network conditions, test interoperability and/or your UI functions and automate your testing process with KITE. Schedule a FREE 15-minute consultation with CoSMo today.